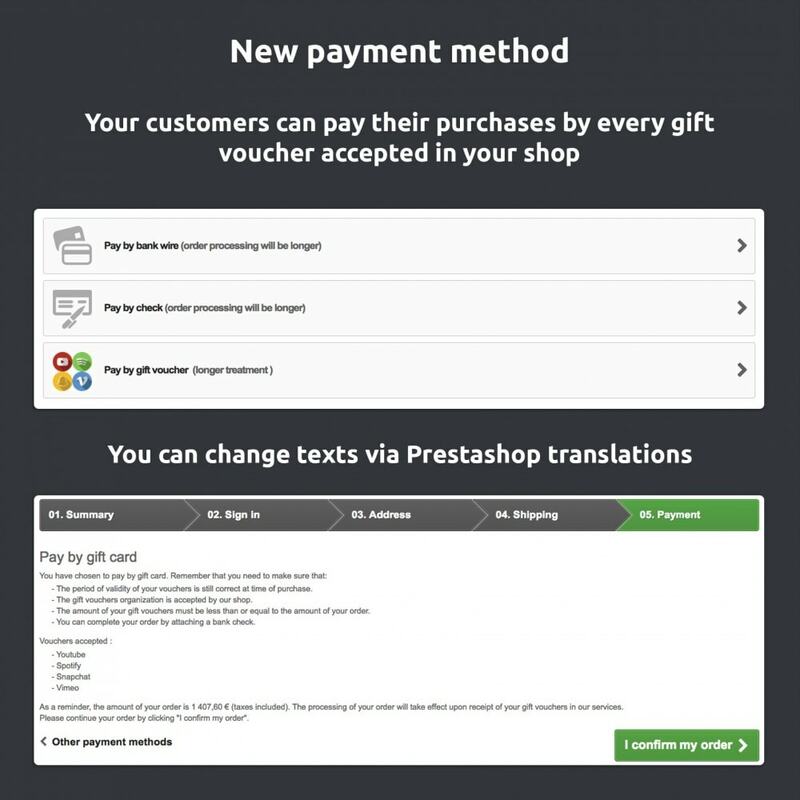 New payment method: you can win over more customers by giving them the option to pay their purchases by gift voucher. 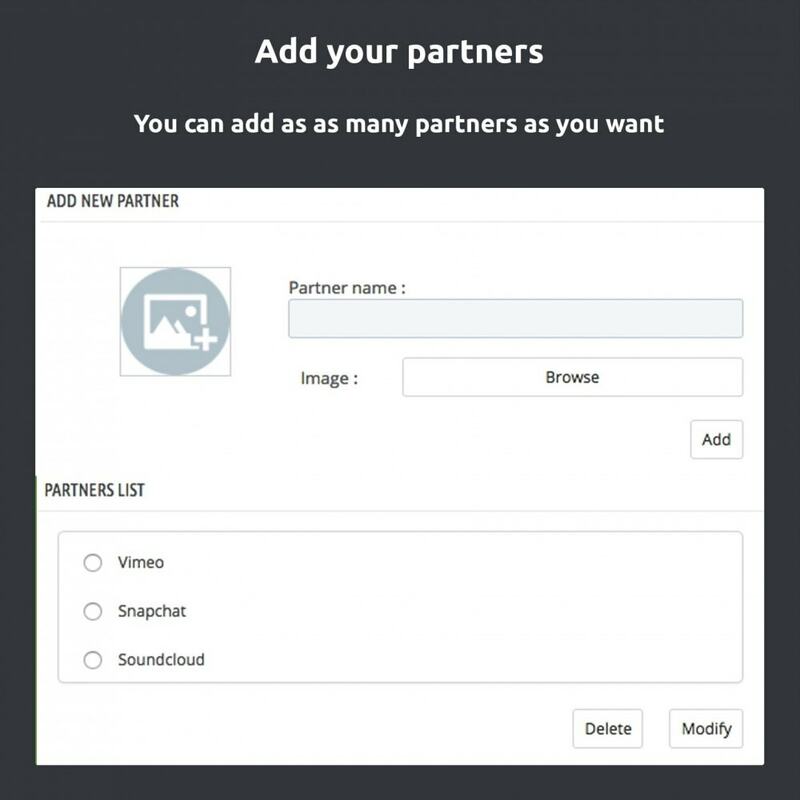 Collaboration with your partners (for example Cadhoc, Kadeos,Placedescartes..): you can configure the name and the image of your partners who sell or offer gift cards for your site; you can add as many partners as you want, you can also enable and disable them. New order status associated to the module: by default, the module shows “Waiting for reception of gift vouchers” as status for new orders, once you receive a completed order form with a gift card information you can change the order status to “Gift vouchers received”. 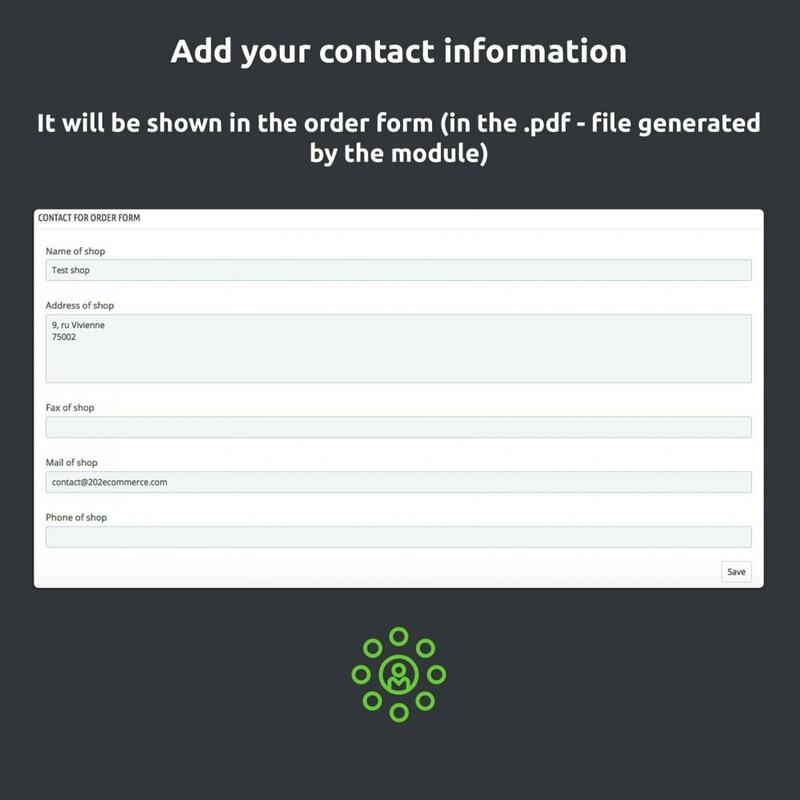 Fast and simple installation and configuration: it takes no more than 10 minutes, you just have to add your contact information for order form and the list of your partners. Help installation and support including: Contact us if you have any question or issue during installation or configuration process. Constant updates: We are continuously update the module and we will be happy to know your opinion and suggestions for improving our product. 4 – Seller can change the order status to “Gift vouchers received” and send the order! - Total: the total amount of the payment. 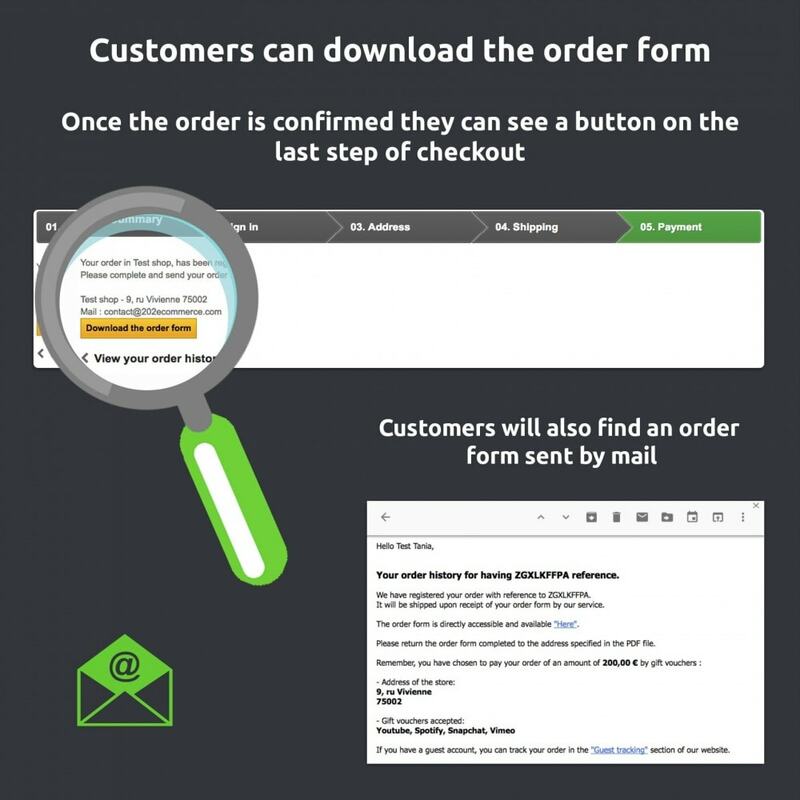 During the order confirmation, a mail is sent to the customer with a link for downloading the order form to complete and send to seller. 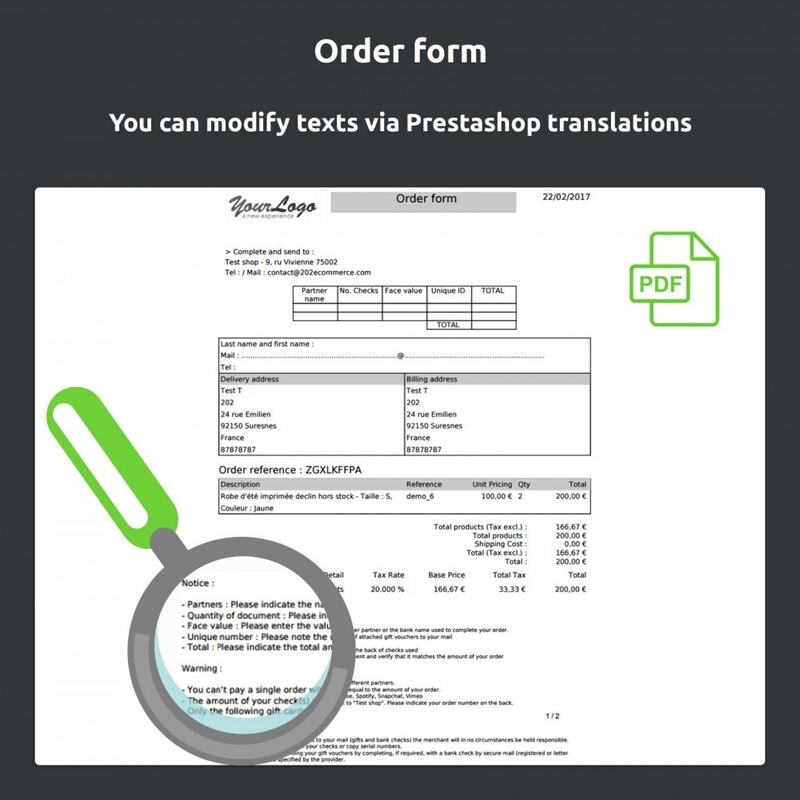 You can modify the explication texts using Translation tool. We suggest you the “ Advanced loyalty program ” module that allows you to customize the number of points awarded for each product purchase, enter the details of points assignment to your customers, and add or delete points manually. Web agency specialized in ecommerce web sites, we adapt web technologies to online sales. Composed of passionate web professionals in online sales, we are working alongside e-businessmen enlivened by the same wish to always sell more. Client can see the full list of partners of your shop. if you use the latest version of Prestashop pay attention that by default you can show only the name of you partner (without his logo) during the checkout process. 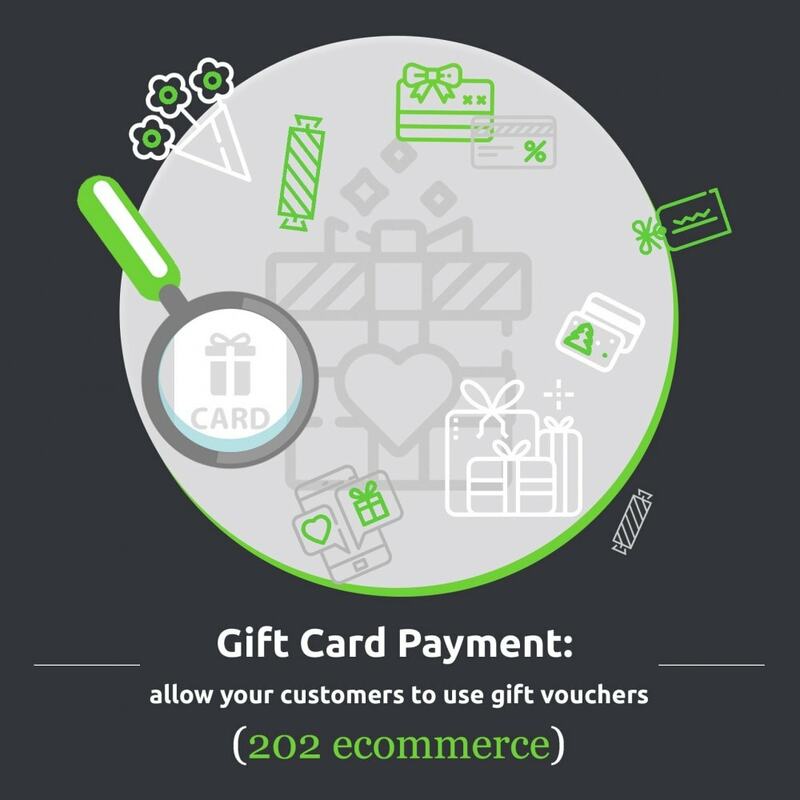 new module "Gift card Payment"